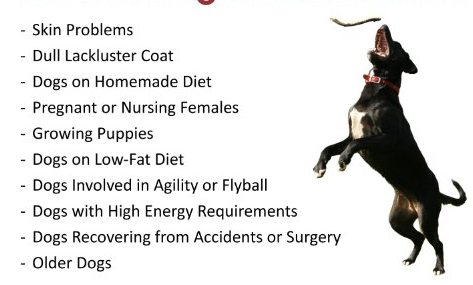 Fatty acids for dogs are beneficial for energy and growth. The body can synthesize some of the fatty acids though it is in very small quantities. However, most important fatty acids are available from diet and are considered essential. Dog, a “man’s best friend “is a mammal that has many benefits as a pet. However, their domestication often exposes them to diets that are not rich in all the essential nutrients for growth. Treatment of arthritis and joint pains. Over-preparation. Dogs often consume dry foods and the integration of some of the aids may require some warming. However, when it is overcooked the acids can be destroyed by losing their nutritive value. This is because they are highly unstable so tend to oxidize quickly upon exposure. Body weight. 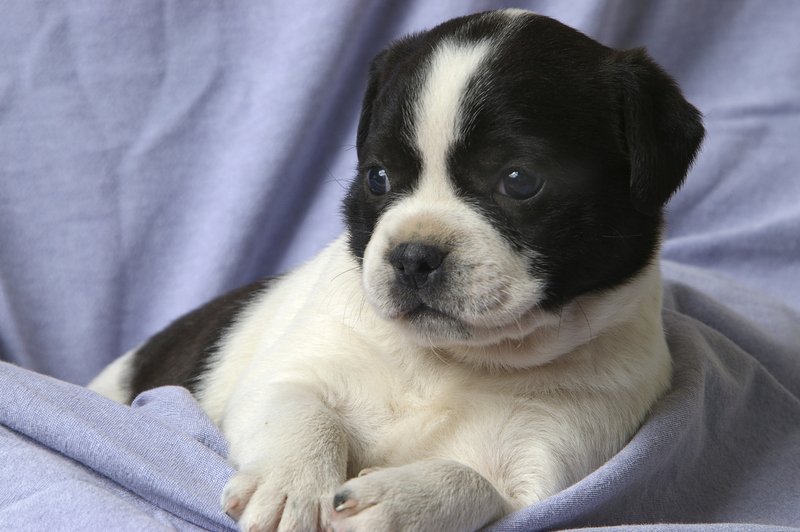 Obese dogs can lack the essential fatty acids due to their fat restricted diet. Poor storage. Dry and canned foods may contain some antioxidants which combine with the unstable bonds of omega 3 acids leading to rancidity. Gamma linolenic acid (GLA). This acid is present in evening primrose, borage, and black currant seed oil. It can be mixed into the dog’s diet to provide the essential nutrients. Linoleic acid (LA). This is present in whole grains, sunflower and safflower oil, corn, soy, canola and in the body fat of duck, chicken, and turkeys. Dihomogamma linolenic acid (DGLA) derived from the metabolism of Gamma-linolenic acid, it is also present in the body organs such as kidneys, spleen, and adrenals. Eicosapentaenoic acid (EPA). It is present in cold water fish including salmon and trout and its oil. It acts more like a hormone that is responsible for metabolism. Alpha-linolenic acid (ALA), present in flaxseed, soybean, canola, walnuts and hemp seed oil.. It is quite unstable and needs to be converted by the body to EPA and DHA for use in the body. Docosahexaenoic acid (DHA) which is present in cold water fish and their oil. It Containsmolecules that are rich in proteins that break down the inflammatory cytokines that are associated with inflammation. Omega 6 is very vital to dog’s development and should be administered in a ratio. Where 5 parts of omega 6 to 1 part of omega 3 should be used especially when treating skin problems. Sterility is caused by the lack of membrane fluidity which causes sperm immobility. The use of omega 3 fatty acids strengthens the cell membranes and increases the fluidity whilst protecting from cell damage. It also helps to fight against cytokines associated with inflammation related to testosterone production. In female dogs, the fatty acids provide a non-inflammatory environment that promotes uterus health. Omega 3 promotes the production of prostaglandins which help to prevent membrane rupture. This will allow for more full-term gestation period. Dogs are prone to yeast infections due to allergic reactions, poor diet, and immunosuppression. If left untreated can lead to reproductive problems. Fatty acids rich in proteins help to prevent these infections as they don’t contain sugar when broken down thus do not encourage yeast development. Some fatty acids are long chained and double bonded but can break down into short chains which stop the growth of pathogens linked to yeast growth. Yeast and ear infections are prevented due to the presence of Eicosapentaenoic acid (EPA) and Docosahexaenoic acid – The presence of omega 3 also helps to slow down kidney disease due to the immune boost. The fatty acids especially omega 3 also inhibit the rapid growth of cancer cells thus slow down cancer. This is due to its ability to maintain normal levels of lactic acid that help to maintain body PH. 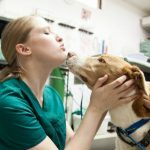 Mostly experienced in older dogs who may be immunosuppressed. In the case of an injury, the body releases excess cells which may cause inflammation and wear out the muscles. 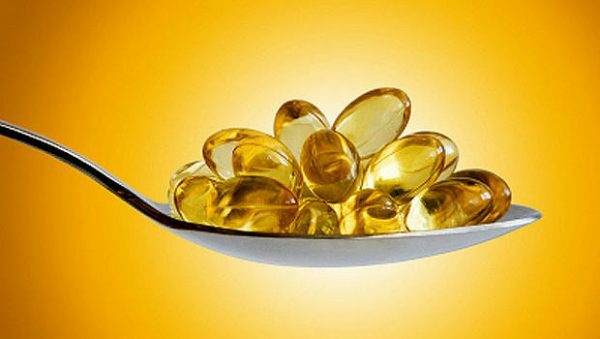 Omega -3 which contains Eicosapentaenoic acid which regulates the production of inflammatory substances due to its anti-inflammatory properties. Its inhibition of prostaglandins helps to fight off any chronic inflammation of joints, skin, bowel, and kidneys. The presence of Eicosapentaenoic acid found in sardine, herring, and salmon helps to reduce depression in dogs. More so the presence of DHA also helps in promoting sight senses. Dry skin is caused by the lack of moisture. Linoleic acid moisturizes the skin getting rid of dandruff, flaky skin. It also helps to prevent shedding of excessive hair that has been associated with baldness in dogs. Skin also becomes dry and fur sheds due to weak cells. The presence of EPA, DHA, and Gamma linoleic acid also helps to strengthen cell membranes associated with promoting skin elasticity and brightness. This also helps to get rid of the Arachidonic acid in the cell membranes that often leads to itching and subsequent loss of hair. When the skin becomes too dry, a dog may be forced to scratch the affected area. The fatty acids contain a high level of DHA which helps to fight allergies, fleas thus eliminating scratching. The presence of EPA helps to regulate platelets adhesiveness thus stabilizing the clotting process that allows for faster wound healing. It also assists in the controlling of gene and cell mutation allowing for the controlling of diseases. Contains Alpha Linolenic acid as part of the omega 3 helps in the creation of EPA and DHA which are useful for brain, eye and body activity. 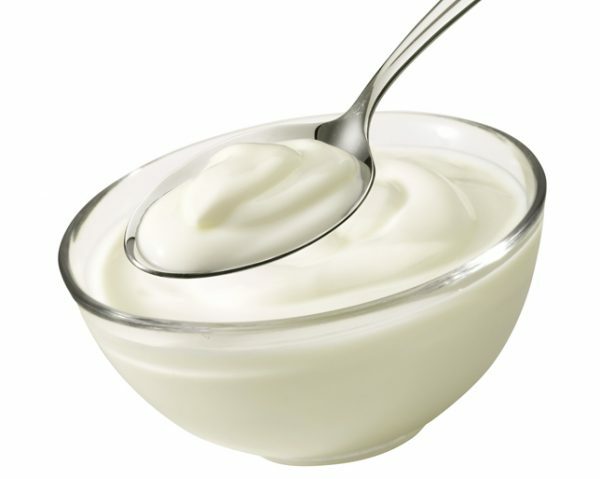 The fatty acids also help to transport vitamins K, E, A and D form the intestines to the body. These vitamins are vital to the overall development of the body. Docosahexaenoic acid (DHA), found in cold water fish and their oil. Contain molecules that are rich in protein that break down the inflammatory cytokines that are associated with inflammation. Infected Neuter Incision – What Does an Infected Neuter Incision Look Like?